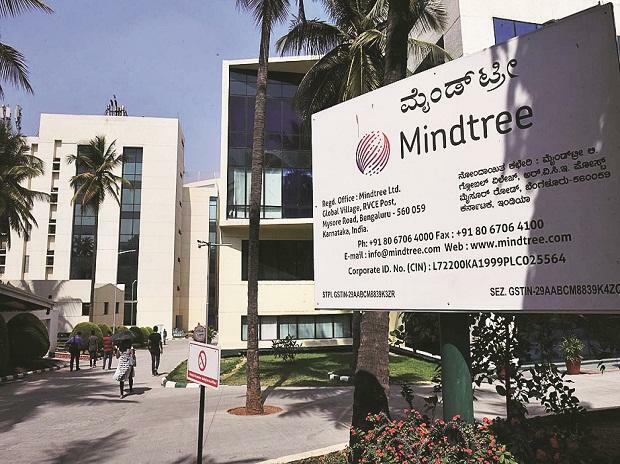 The board of Mindtree, which is meeting in Bengaluru on Tuesday, can take a leaf out of Anil M Naik’s book who successfully thwarted several takeover attempts on Larsen & Toubro (L&T), including those from the Ambanis and the Birlas. Soon after thwarting an attempt by Kumar Mangalam Birla, chairman of Aditya Birla group in 2001, Naik, the current chairman of the company, had told employees that L&T should perform so well that its market value should go up substantially. The high market capitalisation will make any takeover attempt an expensive proposition for any corporate raider and the 15 per cent stake in the firm owned by the employees would come in handy to negotiate with raiders, he had said. Today, the market value of L&T is Rs 1.93 trillion, with the employee trust owning shares worth Rs 40,000 crore in it. “The options before Mindtree founders is to first battle it out with L&T and then follow Naik’s footsteps to save the company from raiders,” said an investment banker. While the tables have turned now with L&T launching the hostile takeover bid on Mindtree, analysts also said that the engineering major has no option but to sweeten the deal once the Mindtree board takes a call on the buyback of shares.After postponing its board meet on March 20, the Bengaluru-headquartered firm will hold the crucial meet on Tuesday where all eyes will be on the role of independent directors. Sources said that depending on the outcome of Mindtree’s board meet, L&T is likely to take a call on the open offer. L&T first became a target of a takeover when in 1987 the late Manu Chhabria picked up a 1 per cent stake in the company. Dubai-based Chhabria had burst on the Indian business scene only two years earlier with a series of high-profile buys like Shaw Wallace, Dunlop, and Hindustan Dorr-Oliver. His entry, however, was less than welcome for India’s professional managers, not least because of his brash management style. The then L&T chairman N M Desai invited Reliance Industries (RIL) chairman, late Dhirubhai Ambani, to invest in the company’s shares as a white knight. Dhirubhai, then well on his way to becoming one of India’s most powerful businessmen, rarely let any opportunity pass and immediately bought 12.4 per cent from the open market. Backed by the Congress, Dhirubhai continued to corner more shares from the open market and by 1989 increased his stake to 18.5 per cent by spending close to Rs 190 crore. Armed with this sizeable stake, he immediately sought, and was granted, board seats for himself and for his sons Mukesh and Anil. It was Desai, the man who had invited Dhirubhai on board, who paid the price for his defensive strategy and was shunted as chairman in favour of Dhirubhai. L&T soon realised that the advent of the Ambanis may have warded off the threat from Chhabria, but it was to be no picnic under the Dhirubhai dispensation. L&T was important for RIL because the company was constructing RIL’s petrochemicals complex. But Dhirubhai was also interested in L&T’s substantial cash flows. As chairman of L&T, one of Dhirubhai’s first decisions was to ask the company to grant RIL supplier’s credit of Rs 570 crore. The cash-rich construction company was also asked to buy RIL shares worth Rs 76 crore from the market from entities close to RIL. Another controversial decision by Dhirubhai was to ask L&T to take on more debt. But the party soon ended for the Ambanis. In 1989, in a humiliating defeat, the Congress, led by the then Prime Minister Rajiv Gandhi, lost power to V P Singh. Prime Minister Singh’s tenure saw the revival of the raid raj. The government immediately asked state-owned Life Insurance Corporation (LIC), the dominant shareholder, to make sure that the Ambanis were out of L&T. Dhirubhai was forced to resign from the board and former State Bank of India chairman D N Ghosh was asked to replace him. Meanwhile, under Ghosh, L&T immediately withdrew the supplier’s credit to RIL and started offloading RIL shares in the market. Though Dhirubhai’s sons Mukesh and Anil were still on L&T’s board, they soon realised that with a hostile government at the Centre, it was impossible to control the company, since the majority shareholding was still with government-owned institutions. After Singh’s government collapsed, the Ambanis’ interest revived as they had enough shares and proxies to vote Dhirubhai back as chairman and his son, Mukesh, as the managing director (MD). But following pressure from the Opposition, Prime Minister Narasimha Rao decided to stay away from the battle. The LIC sought an adjournment of the extraordinary general meeting in August 1991, which was to vote on bringing Ambanis back to L&T. Shareholders close to Ambanis, however, refused to vacate the hall and the meeting ended in a draw. By then, the Ambanis also realised that it would not be possible for the Congress-led minority to openly support them and remained as passive investor for a decade. In November 2001, the Ambanis abruptly sold their remaining 10.05 per cent stake in L&T to Kumar Mangalam Birla’s Grasim. Grasim was directly competing with L&T in the cement business and wanted L&T’s cement business. But a young Birla completely misunderstood one person: A M Naik, the doughty chief executive officer & MD. Naik was not to be cowed down by the corporate raiders. He soon rallied L&T employees behind him and exhorted them to take destiny into their own hands. Instead of remaining servants to others, Naik asked his employees to become owners of the company. “We should perform so well that it should become impossible for anyone to buy shares in our company because good results will make the stock expensive,” Naik told them. Naik won the battle and retained control of L&T, but had to let go of the cement division to Grasim.